April 23, 2015 by Ecommerce News. About Cross-border, Logistics with tags Europe. 4326 views. Ecommerce Europe wants the delivery and ecommerce sector in Europe to come together even more so e-logistics barriers can be tackled. The organization that represents 16 national ecommerce associations across the continent has published its vision on how to come to a better integrated European market for parcel delivery. Ecommerce Europe has written a position paper, which is called “e-Logistics: A Need for integrated European solutions”. You can download it here. In this paper, the umbrella organization makes an appraisal of the resources and potentialities of the current market initiatives. It also lays out a concrete action plan on how the delivery and the ecommerce industry can come together to deal with problems in logistics. The European Commission published a parcel delivery roadmap at the end of 2013, with three main objectives that need to be accomplished. These objectives are: increased transparency and information, improved availability, quality and affordability of delivery solutions and enhanced complaint handling and redress mechanisms for consumers. The EC will evaluate this in a couple of months, but according to Ecommerce Europe “still a lot of work needs to be done to improve the current situation”. The postal sector has started some initiatives to give an answer to the issues outlined in the roadmap, but Ecommerce Europe still has some remarks. It wants the postal sector to consult the ecommerce sector much more frequently, so it can receive input on their initiatives which have “clear consequences on merchants”. Also, the organization wants clearer communication on how and when “these improvements will be made available to online merchants”. And Ecommerce Europe thinks the new initiatives from the postal sector should be extended to all delivery service providers used by merchants, while it regrets that prices, “which are the highest concern for merchants”, have not been considered as a priority within the program. 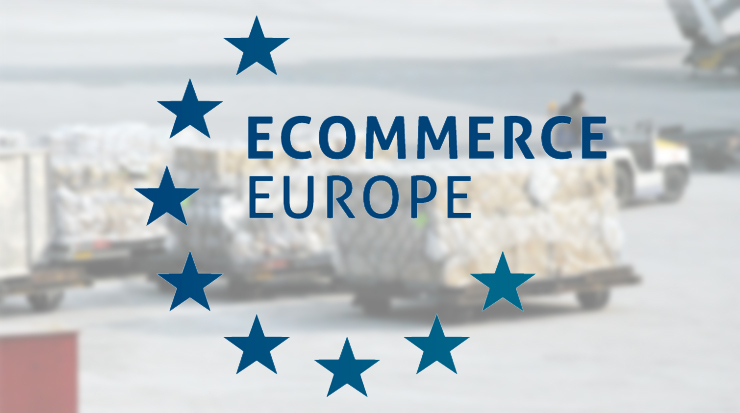 Ecommerce Europe wants to stimulate growth in the delivery sector and has created an online e-Logistics Platform. This platform connects merchants, service providers and databases and aims at more transparency, improved service, and better affordability of delivery services. According to the organization this platform will have a great impact on transparency, cost decrease and quality improvement.